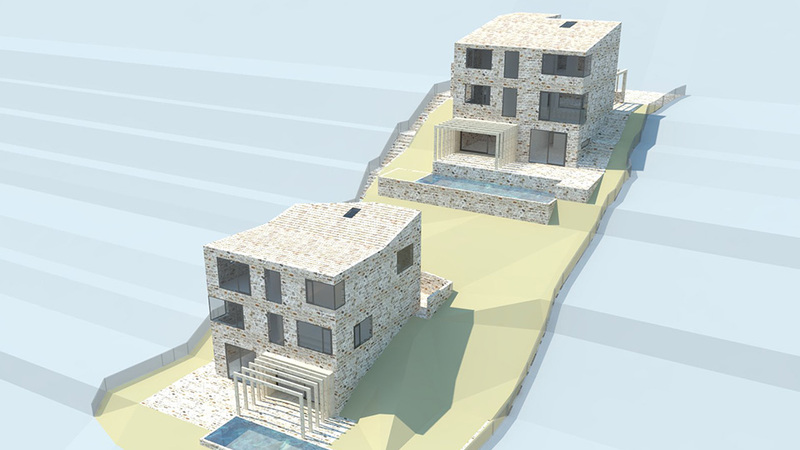 This project, located in Rezevici, Montenegro comprises of two houses on a mountainside near to the coastline. The site has tight development constraints in terms of footprint, floor area and overall building height. 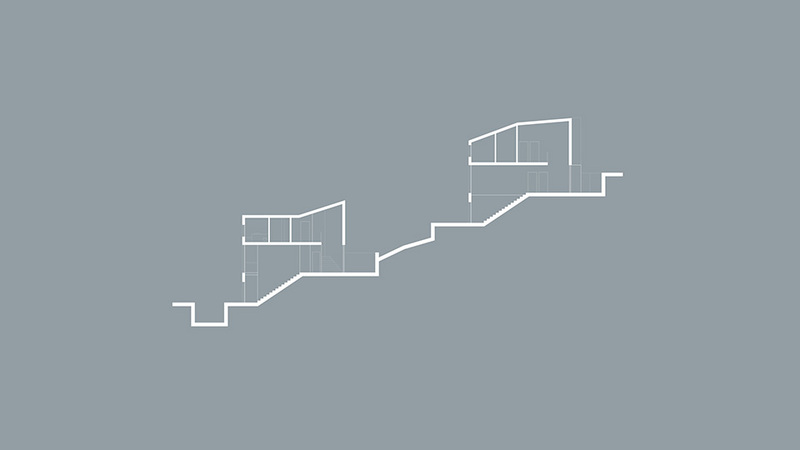 We rigorously explore how to achieve a seamless relationship between existing topography and architecture – how buildings can become part of the landscape, and vice versa – to create a natural flow between buildings and landscape. The lower ground floors are cut into the site allowing the internal floor levels to flawlessly open out to natural ground level. 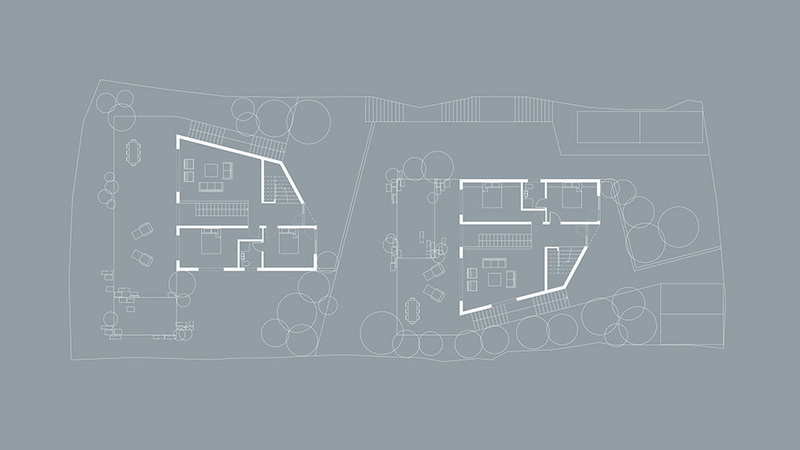 Angled rooflines vary for each house in response to the gradient of the site. 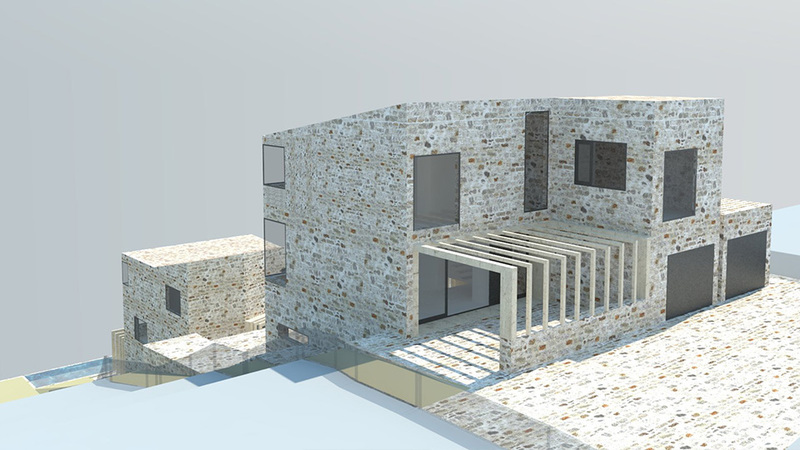 Local stone is the main material used which continues on the external hard landscaping ‘grounding’ the houses as if they were moulded into the site. The external stone terraces gradually disperse into soft landscaping with eco pools that are naturally cleansed with plant life. The project has outline planning approval and we are currently working on full planning and technical package to enable site works to start in April 2015.